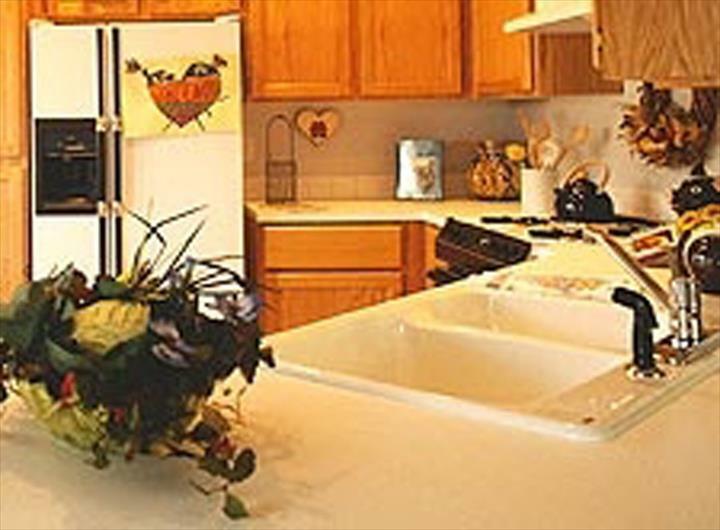 Thorne Plumbing, Inc., in De Pere, WI, is the area's leading plumber serving De Pere and surrounding areas since 1997. We specialize in water heaters, plumbing, sump pumps, and much more. We also offer kitchen and bathroom remodeling, cross connection control, high pressure water jetting, TV pipe inspection and more! 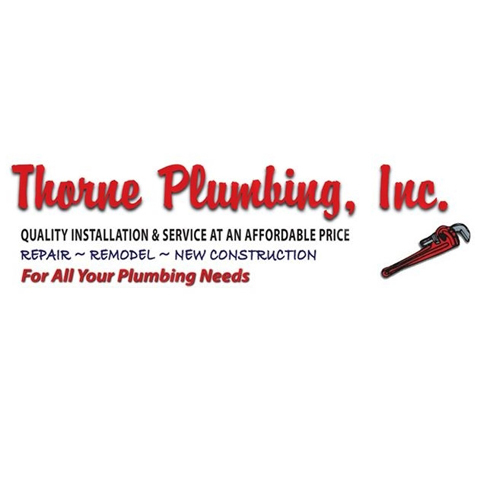 For all your plumbing needs, contact Thorne Plumbing, Inc. in De Pere. "I will recommend Thorne Plumbing to everyone!! The customer service is excellent! 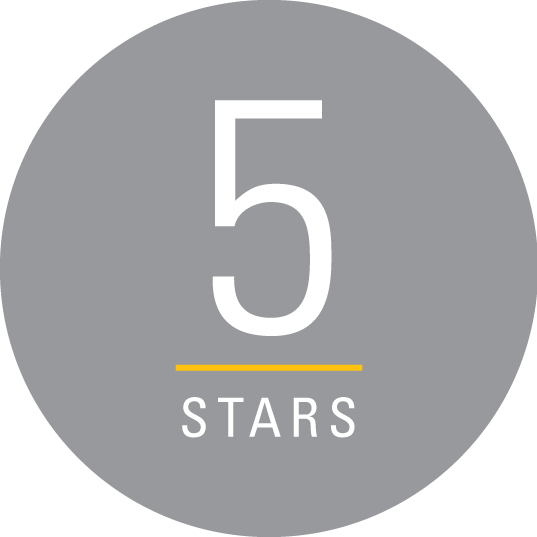 I called during the week when my husband wa..."
"I will recommend Thorne Plumbing to everyone!! The customer service is excellent! I called during the week when my husband was out of town, and they were able to squeeze me in and help out right away! Jane who answered the phone is so knowledgeable and makes you feel at ease right away!! The gentleman at our house was so friendly and helpful with talking to the insurance company! Thorne Plumbing is the best! Thank you so much!" "Awesome. Nice to have guys work on plumbing that know what they are doing. Fast and efficient." "Great family ran business, Jane is great to work with setting things up, Ted and his crew made efficient quality work of the ..."
"Great family ran business, Jane is great to work with setting things up, Ted and his crew made efficient quality work of the tasks I needed to have them take care of prior to selling my house. Glad Thorne plumbing was recommended to me by a friend. Ted even came out on Sunday to make a quick fix. Definitely would recommend to anyone needing plumbing work done. They will be my first call everytime." "A great family runned business. I couldn't say enough good things about these guys." "Couldn't be more satisfied with the quality of their service and their professionalism. I've used them on two separate occas..."
"Couldn't be more satisfied with the quality of their service and their professionalism. I've used them on two separate occasions, to replace a hot water heater and disconnect/reconnect my kitchen plumbing during a remodel. On both occasions, they scheduled and responded on time as promised. They worked efficiently and cleaned up the work area to perfection. Would definitely recommend Thorne Plumbing for any type of plumbing work that you may need. Oh, and the seem like genuinely nice people too!" Established in 1997. 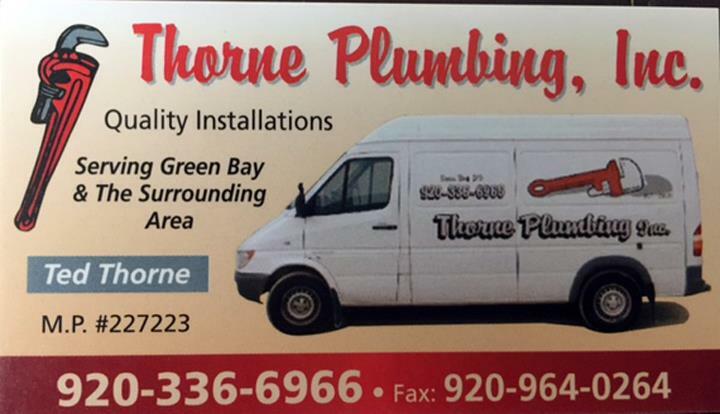 Thorne Plumbing, Inc. is proud to serve our local area which includes 50 Mile Radius, Greenbay, Bellevue, Allouez, Howard, Denmark, De Pere, and Brown County. We specialize in Plumbing Contractor, Water Heaters, New Construction, Emergency Services When Available, Over 20 Years Experience, and Saturday and Saturday by Appointment Only since 1997.